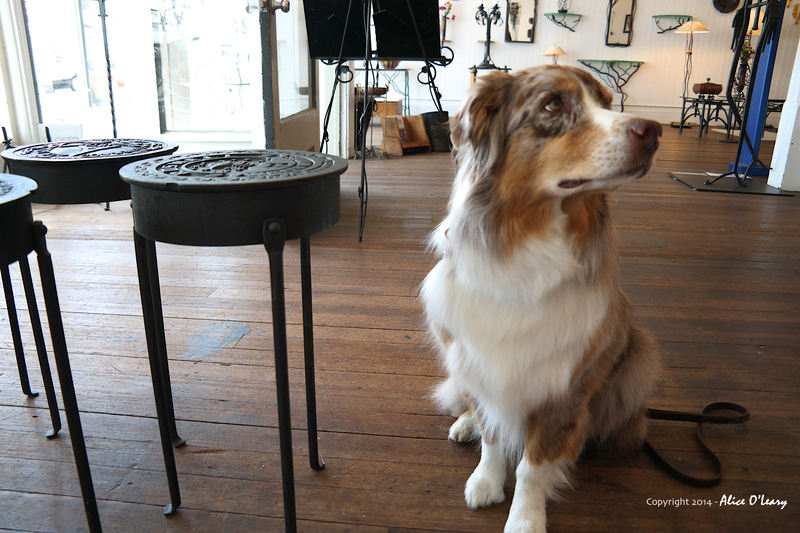 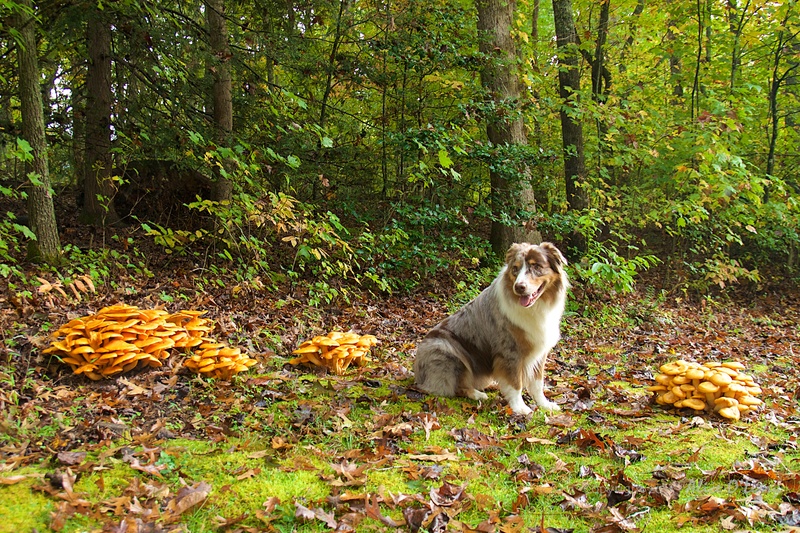 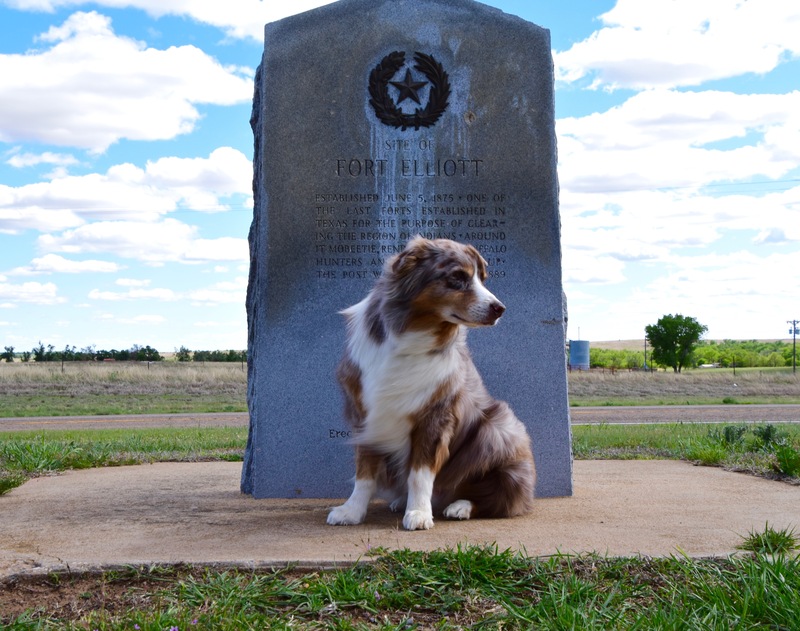 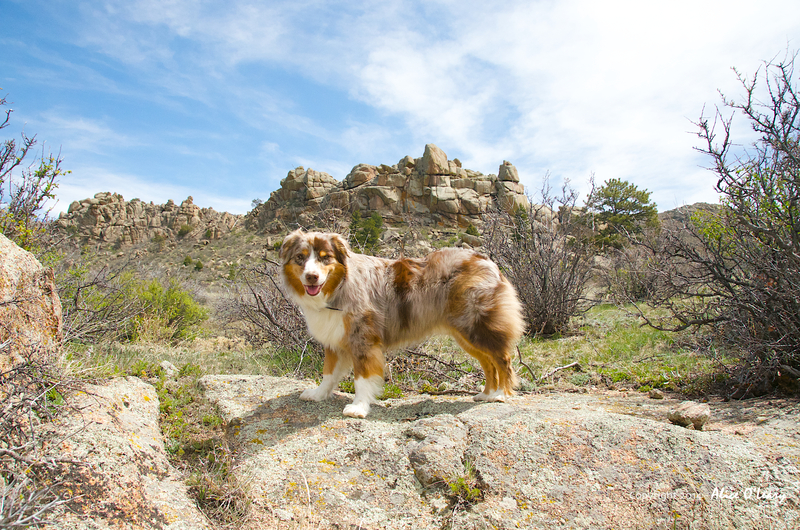 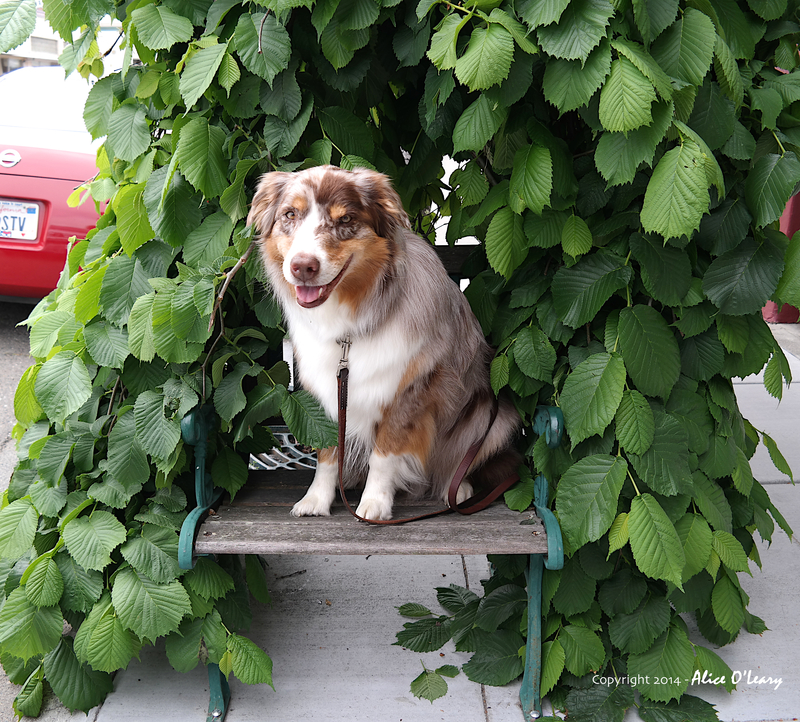 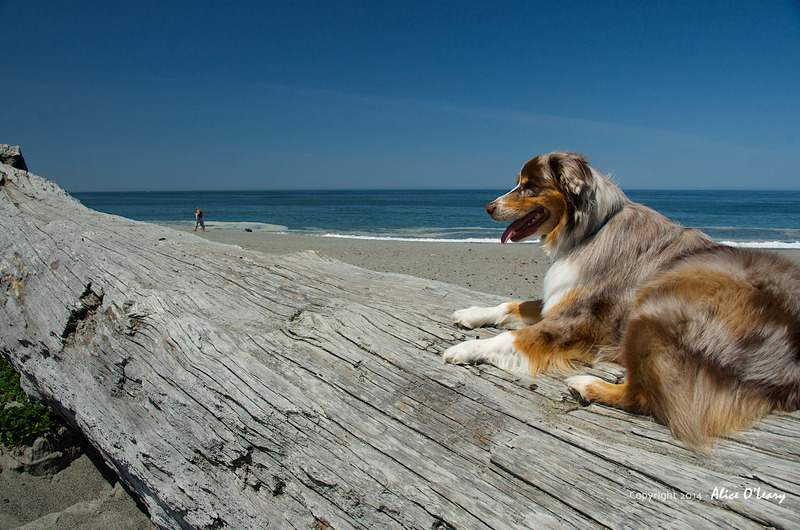 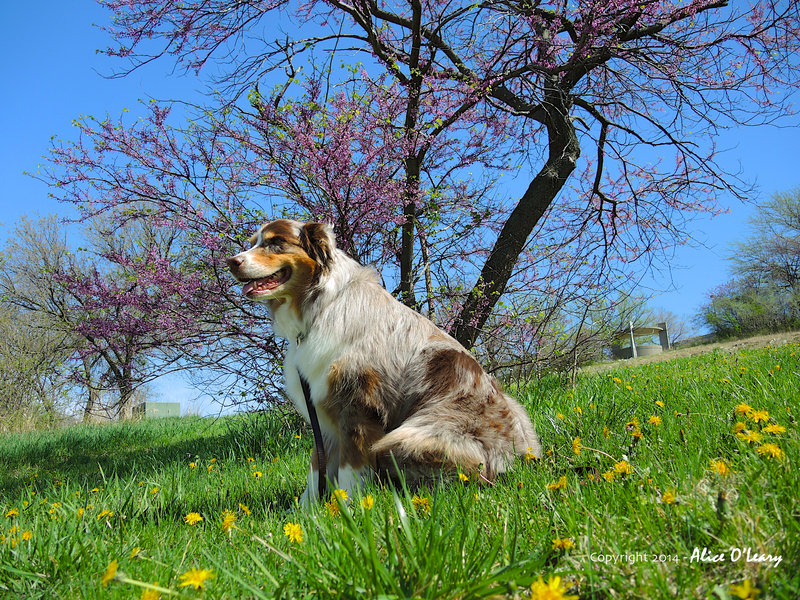 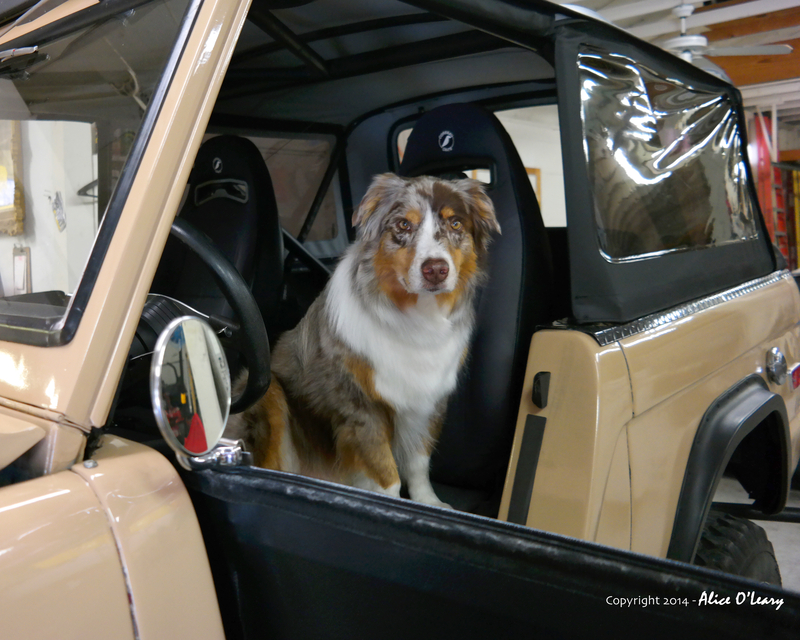 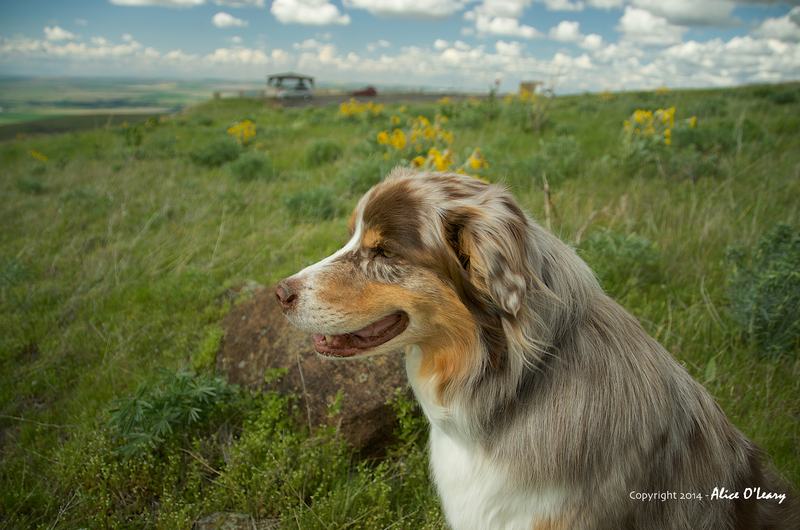 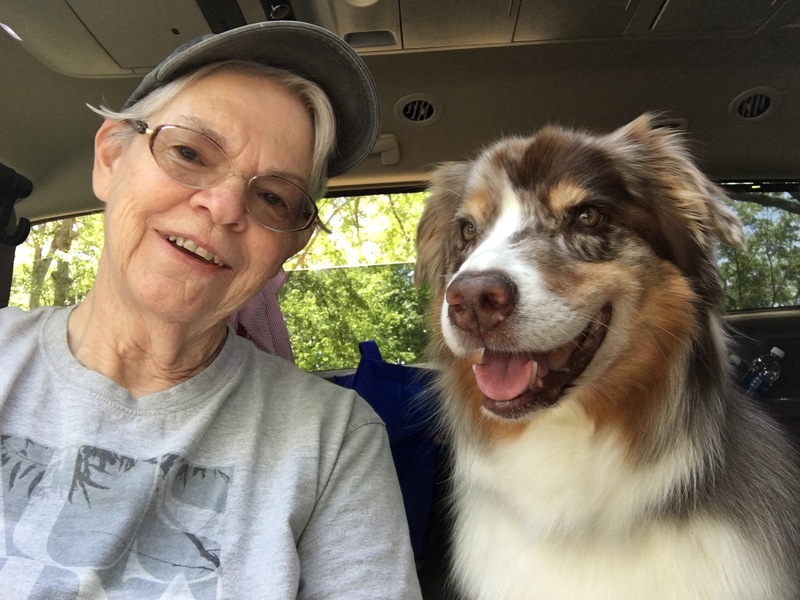 This entry was posted in Alice's Photos, iPhone photograph and tagged Australian Shepherd, pets. 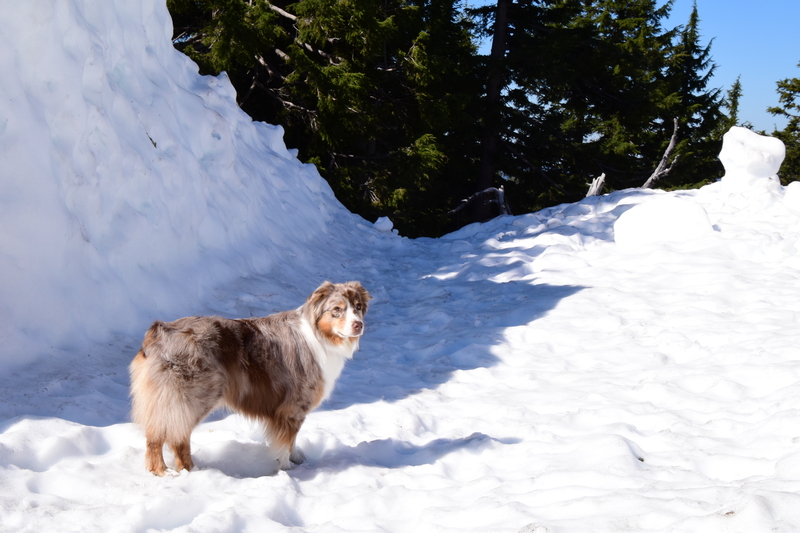 A very warm Tango (it was 96 degrees) with Mt. 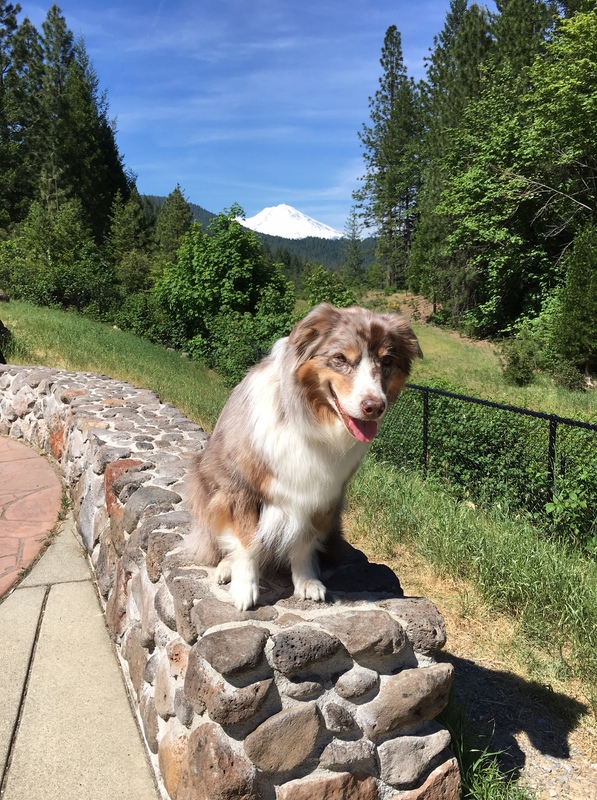 Shasta peaking over his head. 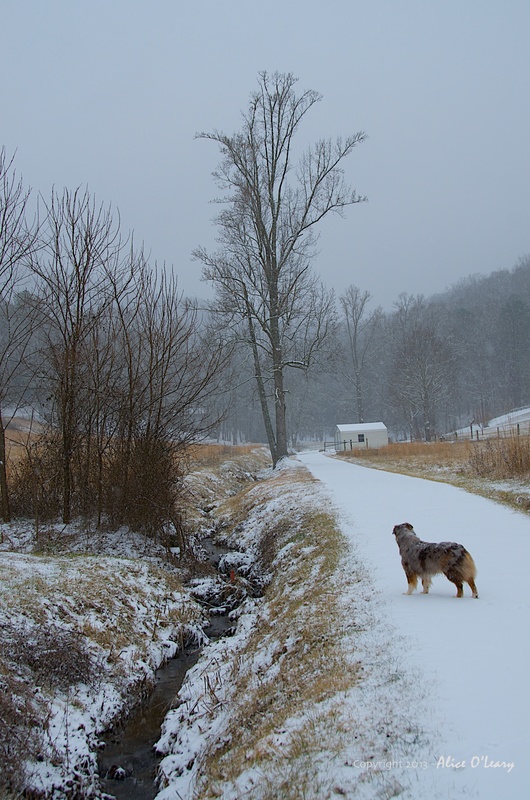 Two finches and a male red cardinal vie for space.